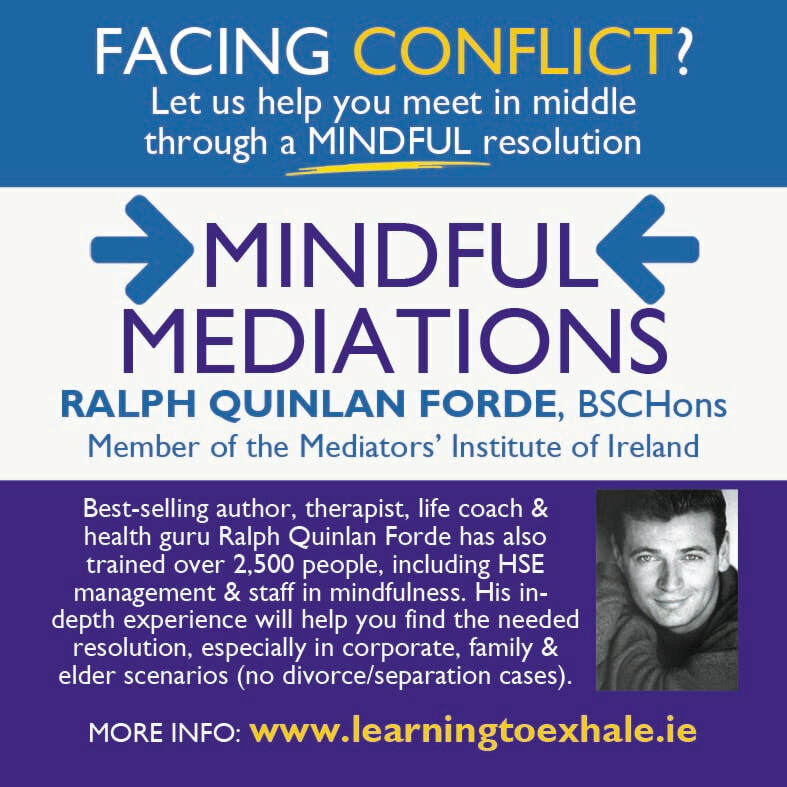 Welcome to Learning to Exhale, a social enterprise that aims to instruct as many people as possible in Ireland, Europe and internationally in the practice, art and spiritual intelligence (SQ) of Mindfulness Meditation. Since its inception in mid-2013, Learning to Exhale has taught nearly 2,000 people throughout Ireland and mainland Europe, as well as providing training programmes for the health sector, organisations and charities. Learning to Exhale was established to address a deep need in the community and society in Ireland to deal effectively with stress, depression, suicide risk and spiritual emergency. We also help in building resilience in the workplace. Learning to Exhale also runs Self-Esteem and Self-Compassion One-day Courses which are very popular and empowering. The community runs 6 week mindfulness meditation courses throughout the Ireland, as well as mainland Europe. Learning to Exhale has also produced Mindfulness Meditation CD's and a whole range of Mindful Beauty Aromatherapy Products to further help people all across Ireland to relax and deal with stress. "It has enriched my life, mindfulness is definitely an energizing experience. I believe it will help me love and appreciate myself and what I have."